In 2001 Jace Clayton recorded a three-turntable, sixty-minute mix and put it online to share with friends. Within weeks, Gold Teeth Thief became an international calling card, whisking Clayton away to play a nightclub in Zagreb, a gallery in Osaka, a former brothel in Sao Paolo, and the American Museum of Natural History. Just as the music world made its fitful, uncertain transition from analog to digital, Clayton found himself on the front lines of creative upheavals of art production in the twenty-first century globalized world. Clayton’s Sufi Plug Ins bundle, a free suite of music-making software apps, based on nonwestern notions of sound and a poetic interface. The project hopes to spark discussion — and creation — in the overlap between software design, music tools, encoded spirituality, digital art, and indigenous knowledge systems. Version 2 is currently being developed. SPIs are free to use and modify; you can support the project with a tax-deductible donation. He has presented them at Harvard University, Share Festival (Beirut), Public Enemy producer Hank Shocklee’s Ableton Meetup (NYC), and they were included in the 2012 Istanbul Design Biennial. Sufi Plug Ins version 1, released in May 2012, is a free suite of seven audio software tools for Ableton Live (Max4Live). They include four software synthesizers hardwired to North African maqam scales with quartertone tuning built-in. The devices are clearly labeled in the Berber script of neo-Tifinaght to encourage experimentation. Led by Clayton (aka DJ /rupture), the SPI development team includes programmer Bill Bowen, designer Rosten Woo, Amazigh musician Hassan Wargui , and videographers Maggie Schmitt and Juan Alcón Durán. Control the amount and rate of low frequency oscillation on the pitch. Saba overall has quite a distinct sonic palette and can be used for leads, transition effects and even the more musically inclined phrases. On the lower octave it could be used to create growling, brassy baselines due to the sub oscillator, which gives it quite some weight while keeping the pitch in check with the overall detuning. The next instrument in the bundle, Hijaz is a woodwind instrument that sounds a bit like an electronic Zurna. The five knobs towards the top, starting from the left control the glide, panning, the way the three layers interact with one another (similar to Abletons built in operator) vibrato and finally distortion. 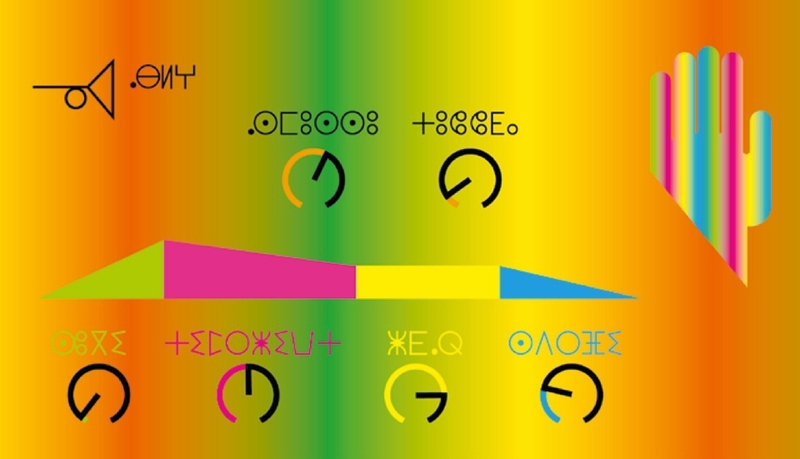 The last four knobs to the bottom control the devices attack, decay, sustain and release, in the same order as those on Saba. Khomasi displays a fairly straightforward interface with the crossfade controlling the amount or the mix between the two oscillators. From top to bottom the wavetable can be switched between a sine, saw, triangle and a square on either oscillator. The knob to it’s right controls the amount of detune and the one below controls the portamento. While the four knobs to it’s left controls the filter envelope just as before, the four knobs mirrored to it’s right control the amplification envelope. Palmas is a clap emulator, you can choose anywhere in between one to thirty four layers. With the first knob from the top left you can choose how the layers are stacked, from straight all the way to the left and quite far off the gird all the way to the right, you can also think of this knob as applying swing among the layers. The next knob to its right controls the pitch of the tone, to it’s bottom left the parameter controls the stereo image of the same, all the ay to the left being mono and finally the velocity sensitivity to its right. Apart from these four plug ins, the bundle also consists of an additional two instruments, namely drone and Bayati which have a fairly straightforward interface once you’re used to the controls parameters on the rest of them. Overall, the bundle wins on making a unique and highly flexible interface, with its left of centre approach. I’d highly recommend it to anyone who enjoys eastern scales/ music or just about anyone who’d like to experiment with non-linear timbres.